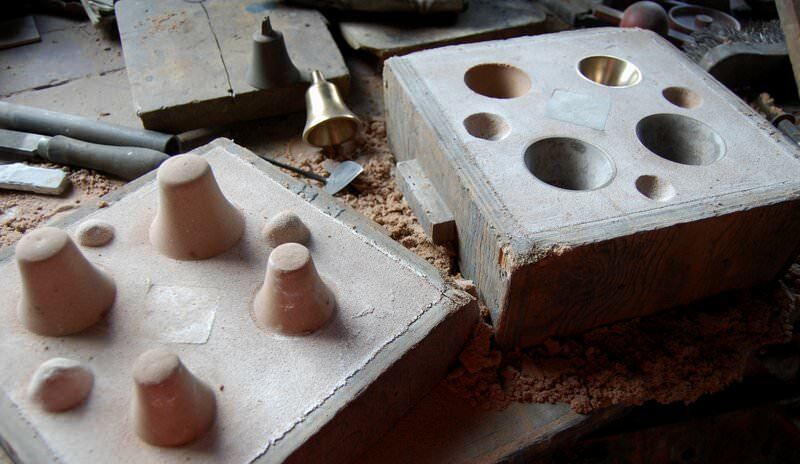 Musical sets of handbells are cast and tuned at our foundry using a combination of craftsmanship passed down through the generations and 21st century technology for absolute accuracy in tuning. 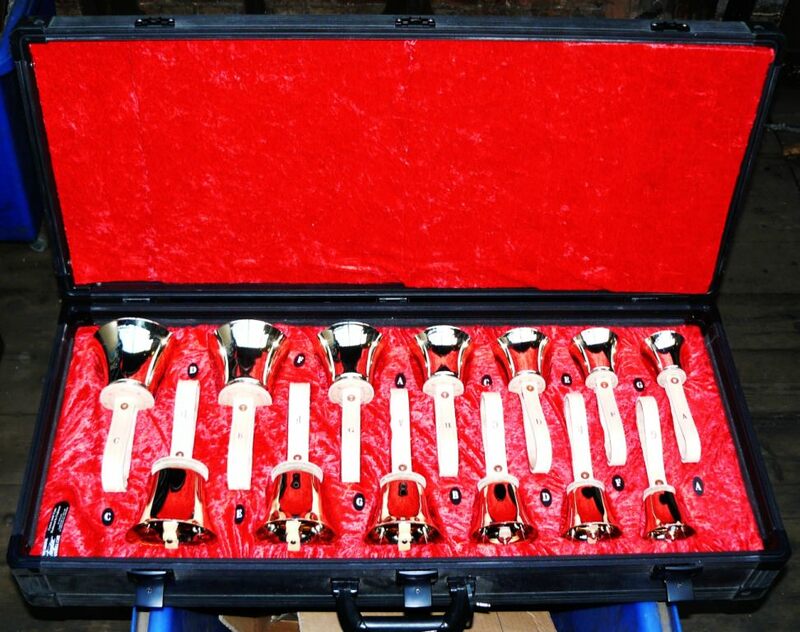 Old sets of handbells can also be completely or partially refurbished as required. Various other types of small bells are cast and supplied to meet customers’ needs. These include school handbells and small hemispherical bells for bracket and long case clocks. 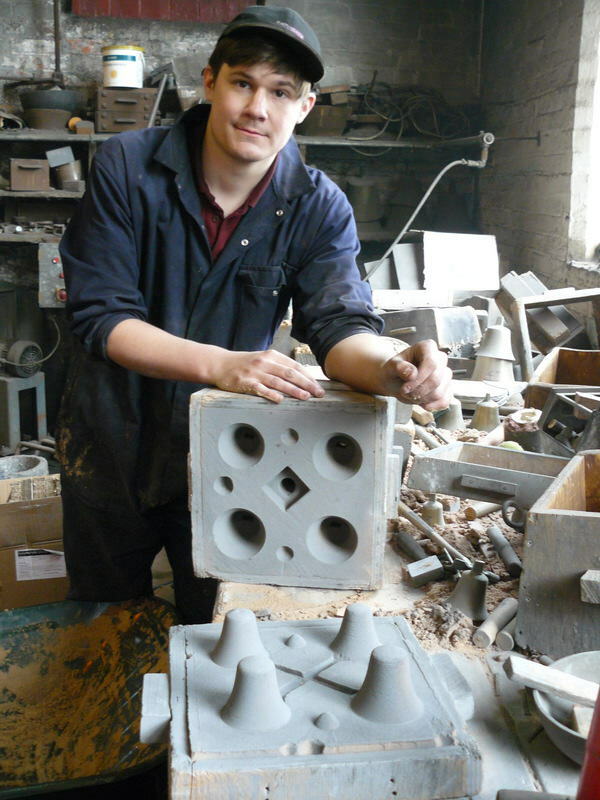 Handbells moulds ready for casting. A completed set made by David Cole our handbell engineer. 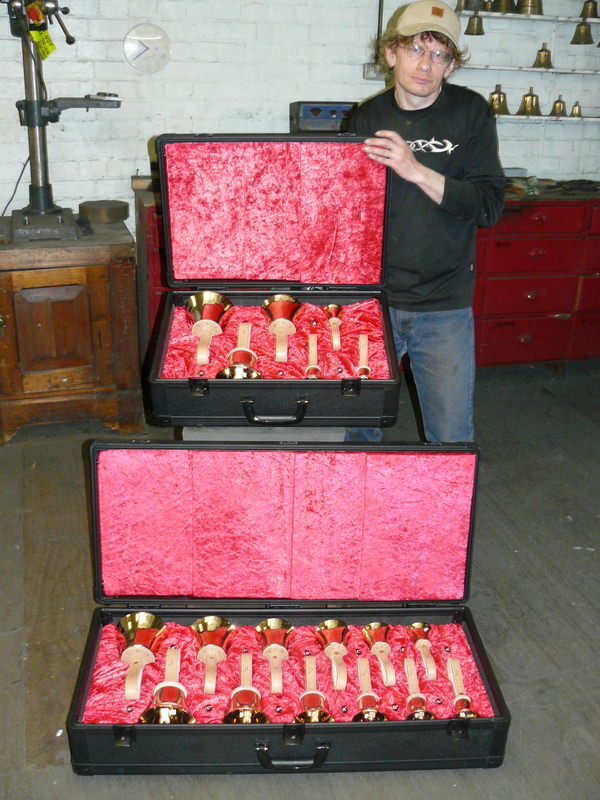 A new set of musical handbells ready for dispatch.